When you decide you want to get a tank, no matter if it’s the first one for you or not, you have to do a lot of research initially to find what best fits your needs such as where you will place the tank, how much time you can dedicate to caring for it, and if it will have fish or just plants. 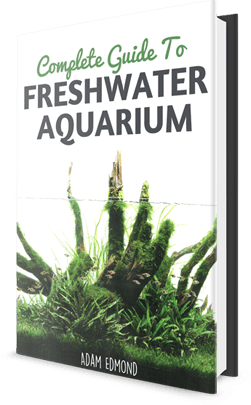 There are so many aquariums to choose from, but if you want to save some time and money the easiest thing to do is to get an aquarium kit. No matter what kind of tank you want to get, a kit is always a good option, especially if you don’t have fish with special needs. A kit will allot for all the necessary equipment without the extra effort to search for the right device. 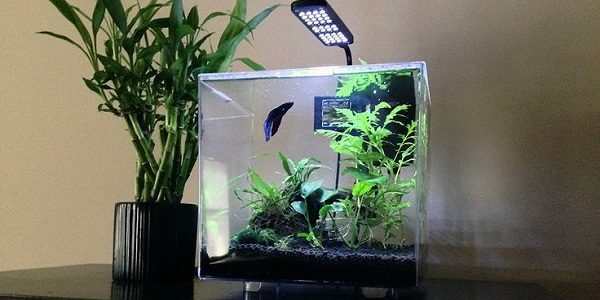 Small tanks, like the 3-gallon Cube Aquarium Kit, are very interesting and can change the appearance of an entire room. You can buy this kit for under $50, which is cheaper than most tanks on the market. The kit includes every piece of equipment you need and even some decorations. This means you don’t have to spend weeks gathering all the equipment and spending more money to buy each device individually. Size is what most people question when they see such a small tank. Often they wonder if this tank is just for plants or if it can keep fish inside as well. Even this cube-sized tank can easily keep a few small fish with one or two short plants. Actually, you can create a very interesting habitat in this small tank, but you will have to use your imagination. The good part is you will never have to worry about where to place your tank because it can easily fit in any home or office space. To put it in a few words, everything you need for your tank is included. In the kit you will find the aquarium tank, the filter, a pedestal base, a LED light, a power adaptor, and a setup guide to help you. If you put the tank in your home and there is a constant temperature, you might not even need a heater, especially since the tank is so small. Get a few easy-to-grow plants that will have enough light from the LED source and your job is done! Whether this is your first tank or not, you will handle this task without a problem. The setup manual tells you exactly what you need to know about the equipment and how you can install it. Additionally, the devices are simple and easy-to-use so you will not have to change the accessories every few weeks. Sure, you will clean the filter every once in a while, but this is about everything you will need to do. One of the most obvious features of this aquarium kit its elegant and sleek look. Even if you want to keep this tank only as a backup, it is still a very good investment. The devices are not obvious;you can place the tank right in the middle of the room and it will still look good. The light is not too strong, so it will not disturb you or the fish, even at night.It does not have any sharp edges and it is made from a high-quality plastic that will not easily scratch. Actually, it can be considered a decoration, not only an aquarium. Only you know if this is the right choice for you, but reviews from people who have the Cube Aquarium Kit were satisfied with it. Think about how nice a small Betta fish would look inside this tank and you don’t even have to struggle to gather devices or clean a large tank!